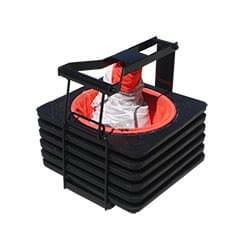 The TrafFix Spring Cone & Tote System is an ideal solution for temporary traffic control. 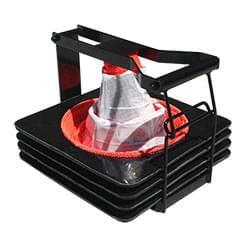 The Spring Cone System is compact for easy storage on any truck, or in vehicle trunk. 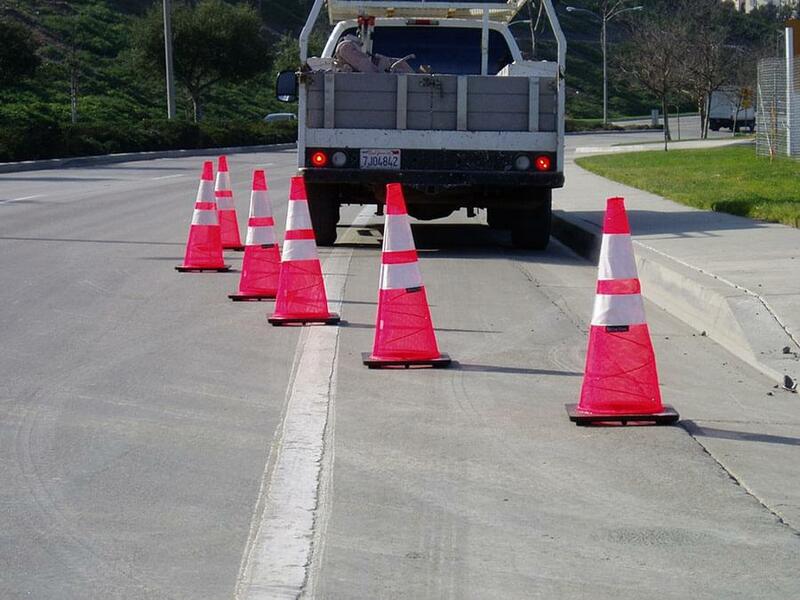 Spring Cones are light weight and compact, cones weigh less and pack-up in a fraction of the space of traditional highway cones. 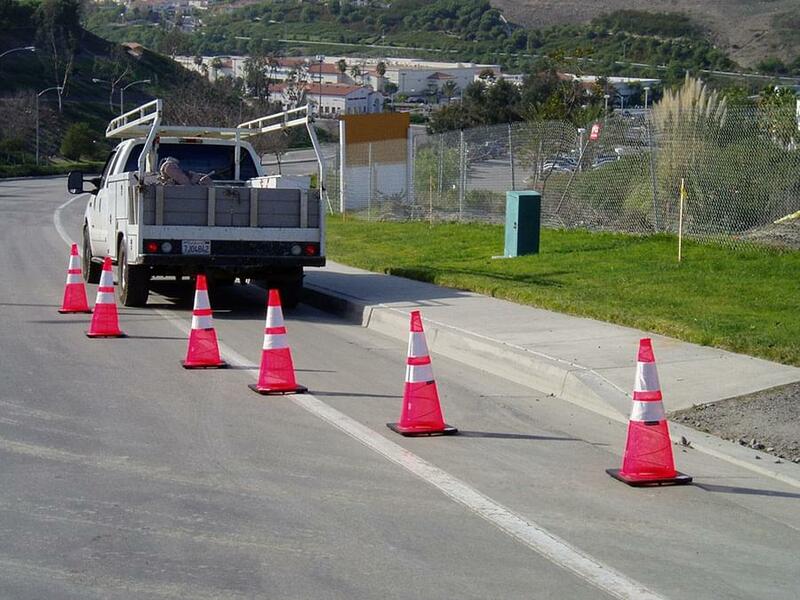 A quickly deployed Spring Cone delineates traffic at any scene. 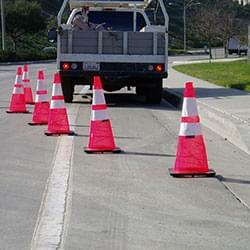 Each Spring Cone meets Federal MUTCD requirements for 28" reflective highway traffic cones. 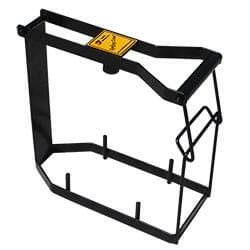 The Spring Cone Steel Tote comes in a variety of sizes to hold 2, 4, 5, or 6 cones in each tote. 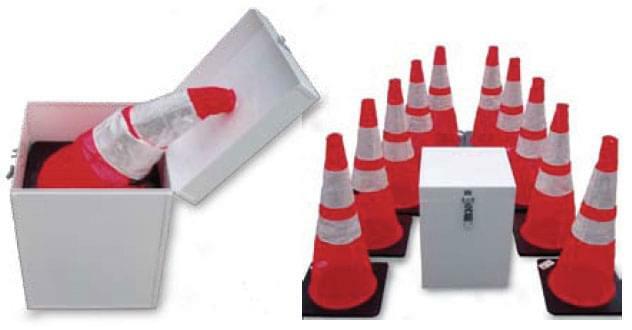 A 10 Cone Utility Storage Box is also available. 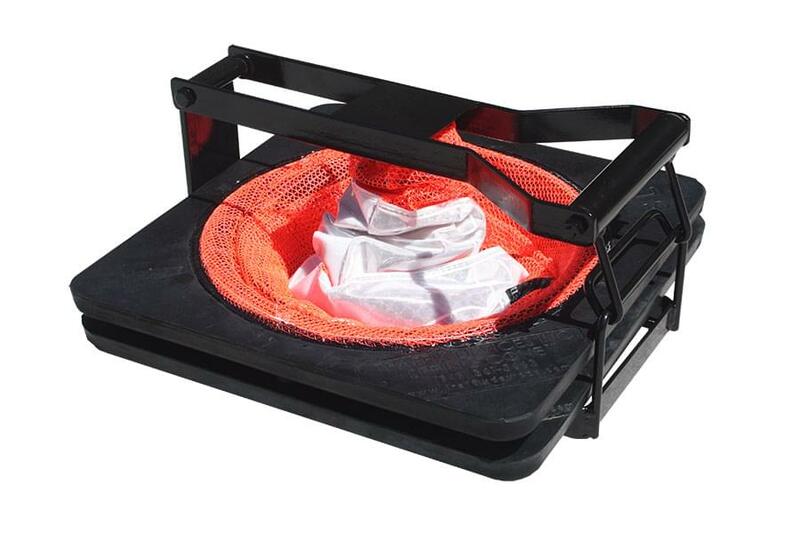 The TrafFix Spring Cone is made of a durable, bright orange, flexible mesh material with a heavy duty rubber base. 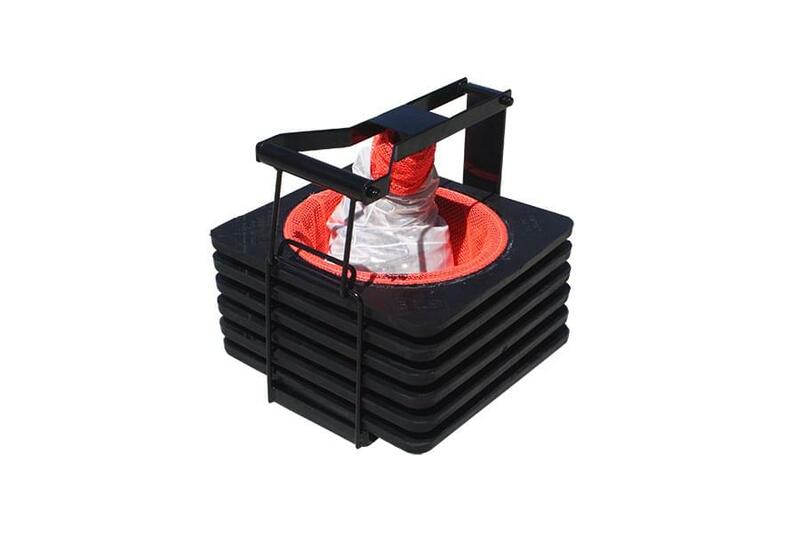 The flexible spring allows cone to automatically self deploy and spill wind for increased stability. 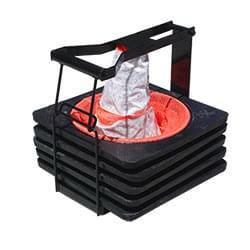 The Rubber Base securely grips the road and holds cone in place in heavy traffic conditions. Cones come in 3 and 5 pound models. 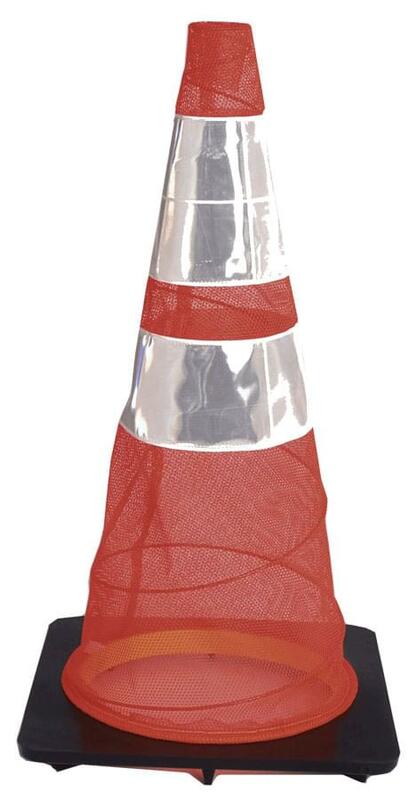 All TrafFix Spring Cones come standard with Reflexite Reflective Cone Collars. 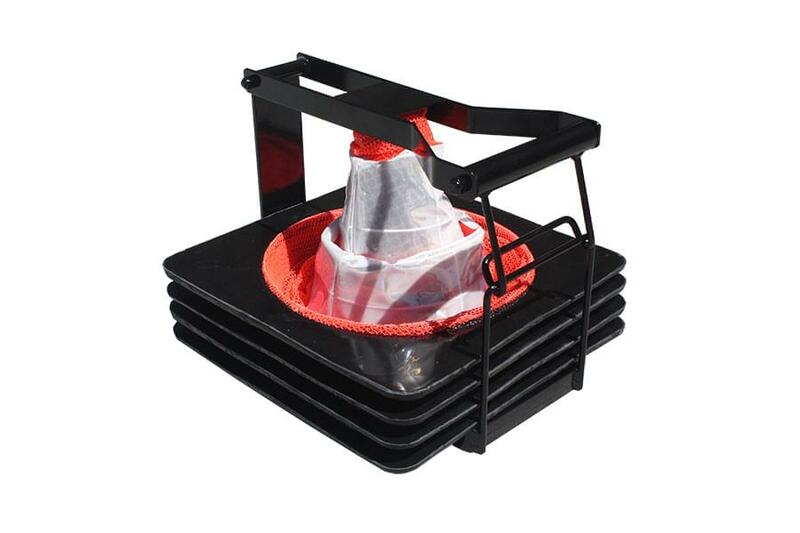 The flexible spring allows the Spring Cone to automatically self deploy. 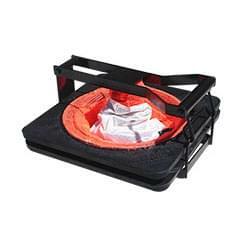 With its compact design, the Spring Cone collapses for easy storage on any truck, or in a vehicle trunk. 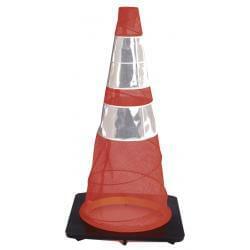 This allows it to take up a fraction of the space of traditional highway cones. The Spring Cone comes in 3 lb. & 5 lb. models with Reflexite™ Reflective Cone Collars. 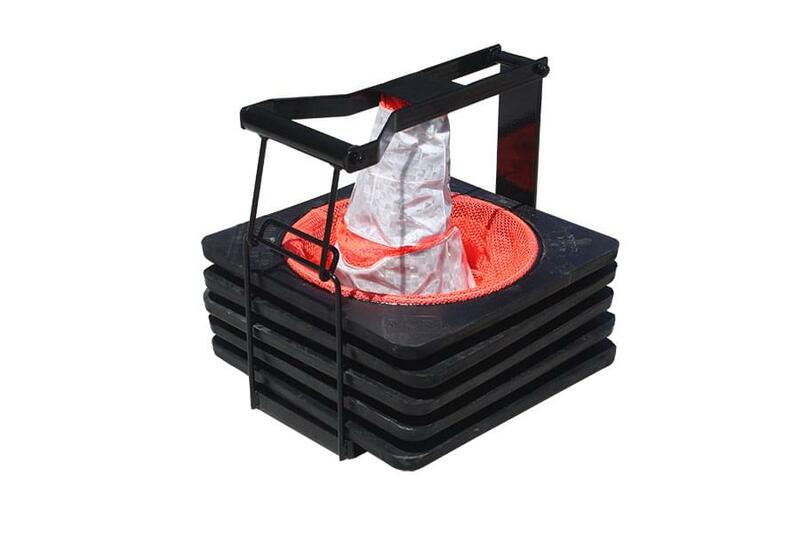 The durable, bright orange, and lightweight mesh material of the Spring Cone spills wind for increased stability. With its Rubber & Polyurethane base, the Spring Cone securely grips the road and holds in place even under the heaviest traffic conditions. 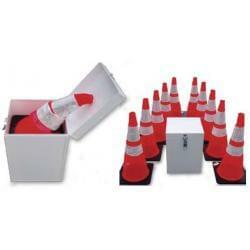 Meets Federal MUTCD requirements for 28" reflective highway traffic cones. Quickly deployed Spring Cones delineate traffic at any scene. 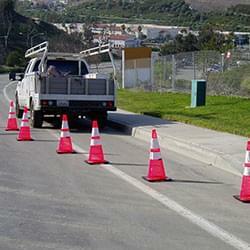 The TrafFix Device Spring cone is the best solution for temporary and emergency traffic control delineation.